I love WordPress, that’s the platform I use for ezesportsbetting.com, because there are so many plugins available for it. If you’re wanting to start your own blog I can set you one up for free. Anyway, one such plugin shows me what terms people are using to get to this blog. One of the more popular search terms is “Easy Betting Sites.” This tells me that ease of use of online sports betting is an important issue for many present and future punters. Those who are regular readers know that I am a relatively newbie when it comes to online sports betting. I actually use to be one of those who was searching for easy sports betting sites. One of the reasons for starting easysportsbetting.com was because I wasn’t all that impressed with what was out there. Most of the sites I visited didn’t have, what I believed to be, honest reviews of the sports betting sites that they were promoting. That was when I decided to come up with this blog so I can join some of the online sports betting sites in order to test them out. Once I ran them through their paces I would write my personal review of them. I wouldn’t join just any site though in my search for easy betting sites. Nope, that would be stupid. First they had to fulfil certain criteria. They had to be around for several years. This was important because I knew that shady sports betting sites just wouldn’t survive that long. I also made sure that there weren’t any rally bad reviews that would turn me against such sites. It was only once I was satisfied that I joined them in order to give them the old test run. 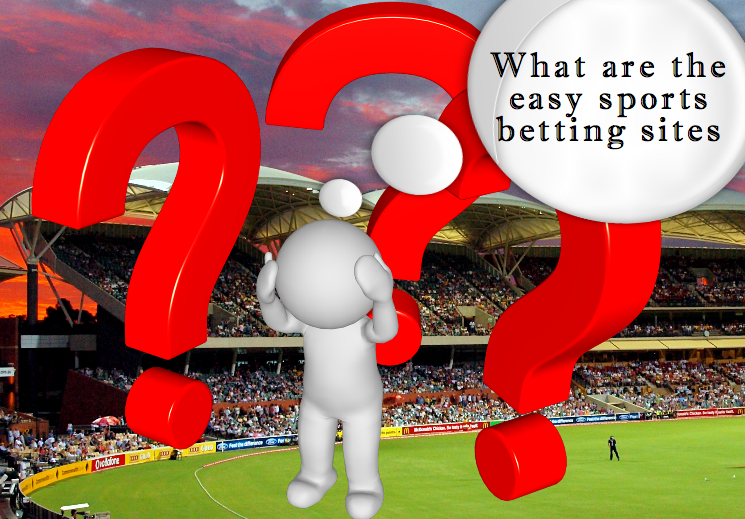 Sportingbet Review: I’m pretty sure they were the first online sport betting site I joined. I liked the fact they used PayPal and that they actually were a really easy betting site. I even produced a video showing everyone exactly how easy it was placing a bet using their app. Bet365 Review: Then there was my bet365 review. I liked bet365 because they’ve been around for ages and because they were serious about their attitude to responsible gambling. While I found their sport betting app easy to use I found their overly green colour theme a little bland. SportsBet Review: Then came Sportsbet. I decided to check out Sportsbet because of all the TV commercials on how easy their sporting bet app was. That commercial made them look like one of the truly easy betting sites. They weren’t far wrong either. To date they are the only ones that I have joined and actually use. I’ve found joining more than one online betting sites very handy. One reason is because I can shop around to get the best odds. Another reason when one site is down, which has actually happened, I can still place a sports bet via one of the other sites. I even did a sports bet app review to see who had the best sports betting app. I thought I would throw that one in because it really fits in with the easy betting site theme.